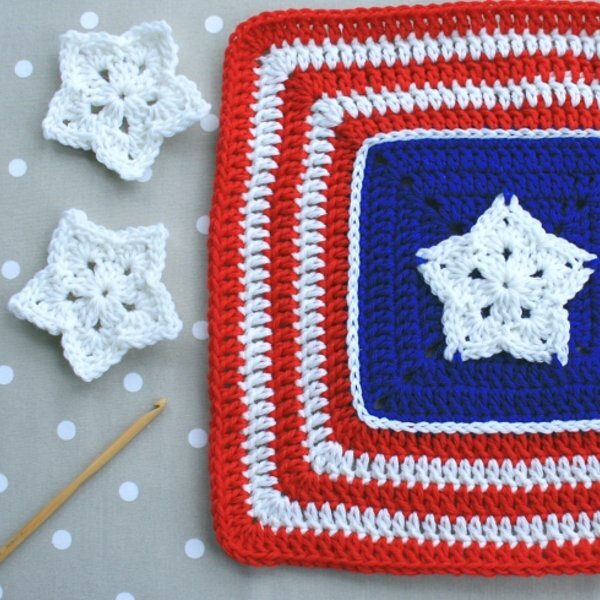 The latest in my pattern updates is this 12 inch American Star Afghan Block. I’ve downgraded the pattern difficulty to Easy by changing a couple of the rounds to make it less challenging. Why do something difficult when there’s an easy option?!! The original design was a bit bland and needed a new lease of life. I’ve added a few rounds of stripes in bright red and white to more closely represent the American flag which the original design didn’t have. I just used red for the original block and the new version looks so much better with them! And, I’ve made the instructions for joining the star to the block a little easier – the original method was a bit clumsy! I’m really pleased with the finished block, its so much brighter and much easier to make. 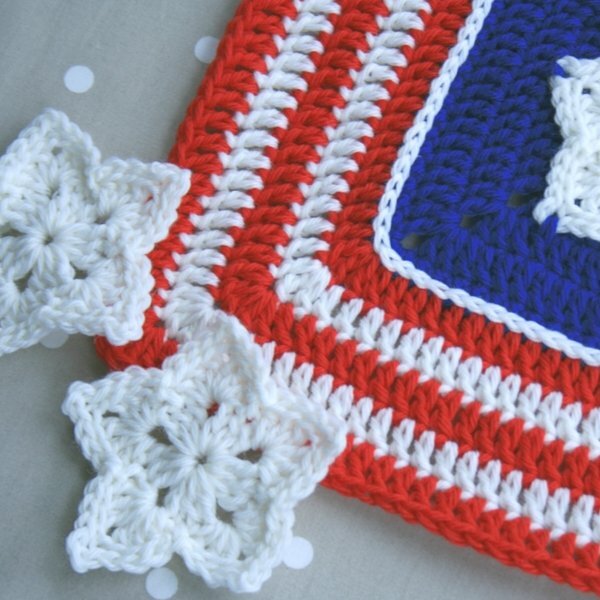 I hope you like the finished crochet design too! Measurement: 12 inches x 12 inches (30.5 cm x 30.5 cm). 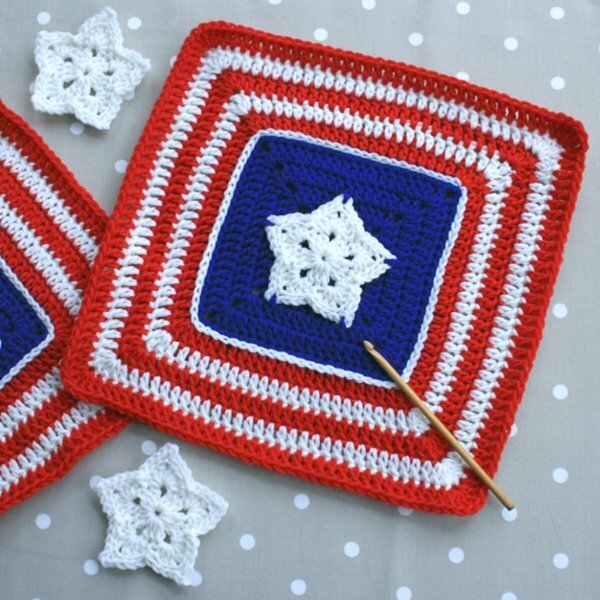 I wanna make an American Star Afghan Block! 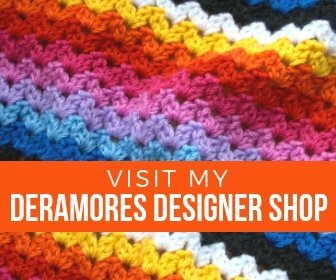 Click the buttons below to purchase from my store, Etsy or Ravelry. 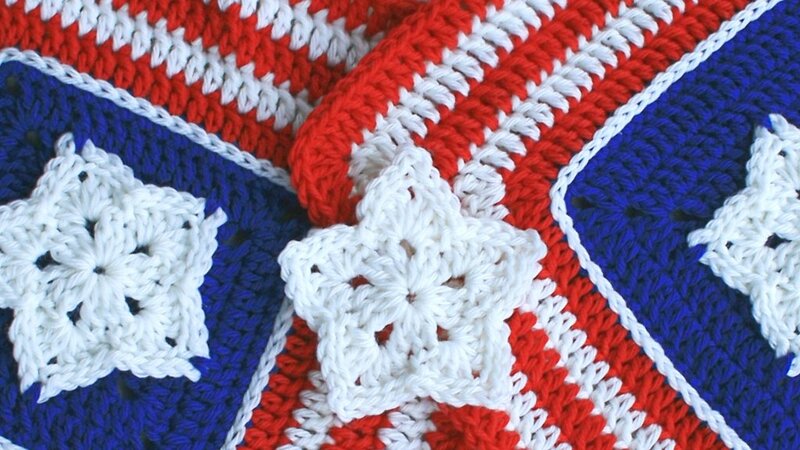 If you use US crochet terminology you can also purchase the pattern in my Craftsy store. If you have any questions about the pattern just give me a shout.